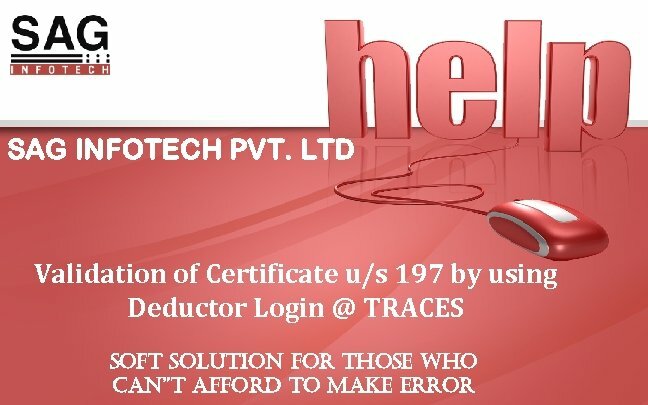 Procedure steps… Validation of Certificate u/s 197 using Deductor Login @ TRACES. 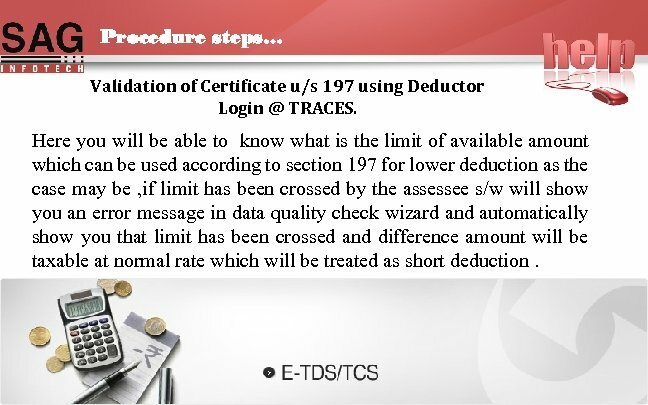 Here you will be able to know what is the limit of available amount which can be used according to section 197 for lower deduction as the case may be , if limit has been crossed by the assessee s/w will show you an error message in data quality check wizard and automatically show you that limit has been crossed and difference amount will be taxable at normal rate which will be treated as short deduction. 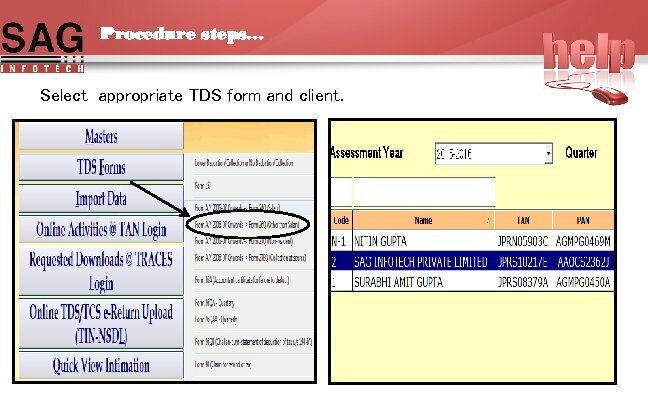 Procedure steps… Select appropriate TDS form and client. 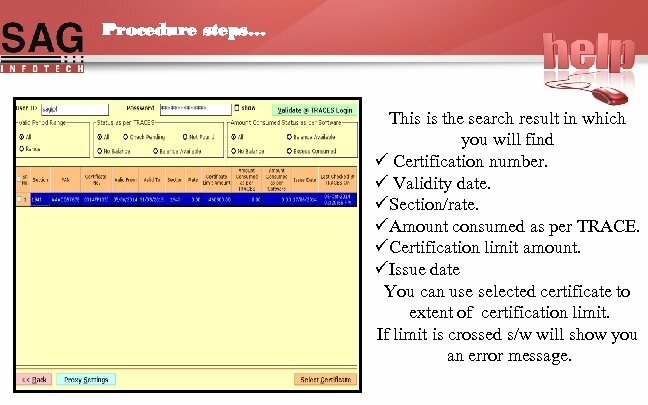 Procedure steps… This is the search result in which you will find ü Certification number. ü Validity date. üSection/rate. üAmount consumed as per TRACE. 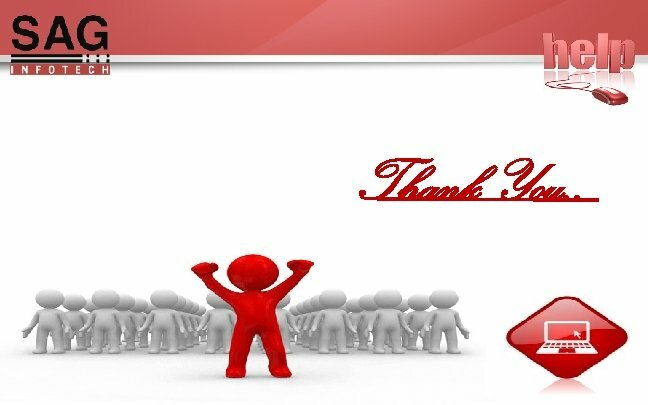 üCertification limit amount. 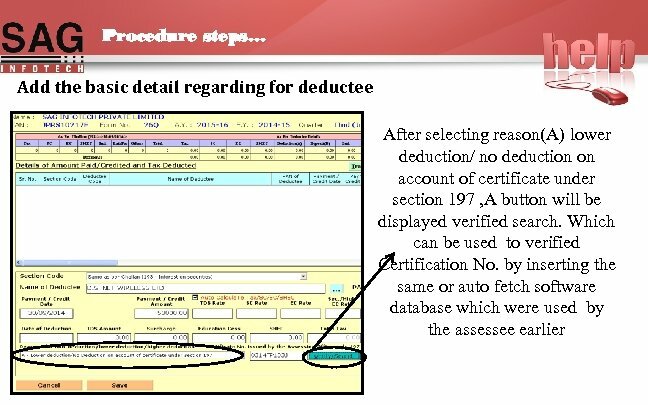 üIssue date You can use selected certificate to extent of certification limit. If limit is crossed s/w will show you an error message. 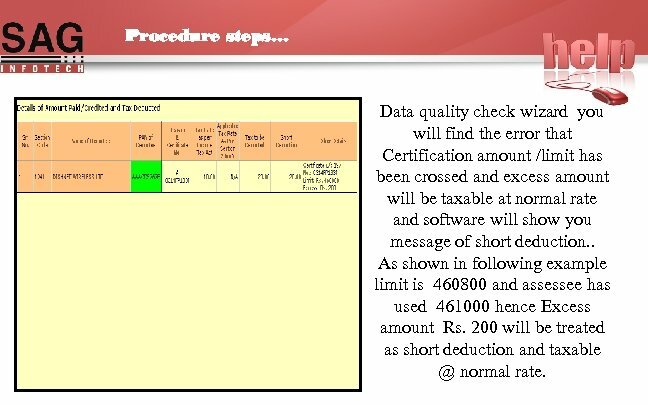 Procedure steps… Data quality check wizard you will find the error that Certification amount /limit has been crossed and excess amount will be taxable at normal rate and software will show you message of short deduction. . As shown in following example limit is 460800 and assessee has used 461000 hence Excess amount Rs. 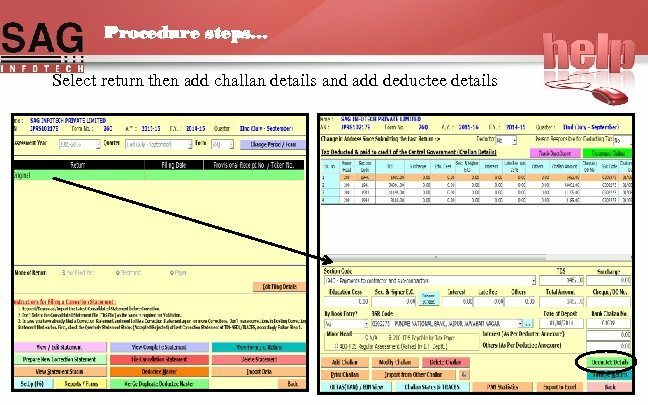 200 will be treated as short deduction and taxable @ normal rate.